Whispering Falls has a lot of secrets. From talking snow globes to whispering animals not to mention a few sprinkles of fairy dust, June realizes Whispering Falls is more magical than she thought...literally. June discovers she was born into a family of psychics, and her homeopathic cures truly are magical. 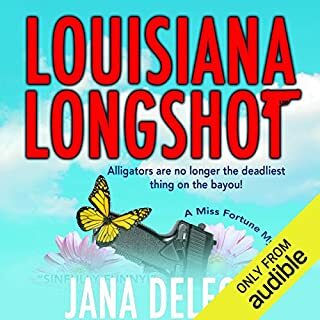 Unfortunately, they are not magical enough to save her from being the number-one murder suspect when a member of the community that she had just had a disagreement with shows up face down in the lake with June's lucky charm in the victim's grasp. Add to that an attraction to her high school best friend, Sheriff Oscar Park, and Mr. 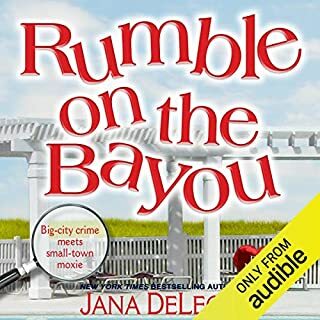 Prince Charming, her cat, is stealing charms from Belle's Baubles, June is forced to clear her name in more ways than murder. After all, they don't have cauldrons in jail. The idea of this book is really interesting but it needs more work to be in order to be complete. I read the entire book waiting to get to know the characters in this book but it never happened. The characters were introduced in a random and disorganized fashion. The romantic storyline with June and Oscar was also undeveloped. I couldn't tell if they were childhood friends or more than that. If I had to describe the book in one word, I would say it was anemic. It was more of an outline than a complete story. I can't recommend it in this condition but I will say that it was an interesting idea. I'm not sure I will buy the next book in this series. This a great series. I started with book 6 because i got it free for a review. I am going back to start at the beginning. this book was fun and full of mystery and humor. I look forward to listening to the others. I just bought book 3.. However book 2 is not in audible. Hope it does go to audible. If not i guess i will read it. What made the experience of listening to A Charming Crime the most enjoyable? 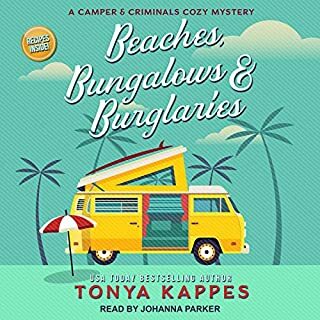 I have read all of Tonya Kappes book and I find them imaginative & entertaining. What does Karen Savage bring to the story that you wouldn’t experience if you just read the book? A Charming Crime: A Magical Cures Mystery, Book 1 had great potential, sadly the book didn't live up to it. Sadly it is a poorly written, badly paced tale that is hard to get involved in. It's a shame really as the idea behind the series is good but it urgently needs a decent editor, because who ever in doing it at present is not up to the job and letting this author down by letting this getting published as it stands. And if anyone ate as many "Ding Dongs", which according to Wikipedia are some sort of chocolate cake about three inches in diameter and a little more than an inch high, they would be bloated before this short story finished. At first it was a nice little character trait but quickly it becomes over used. Narrated Almost Caused Me to Stop Listening! The narrator's voice was very distracting. Her reading was choppy and at times flat and nasally. The story was interesting with fun characters and a good mystery to solve. 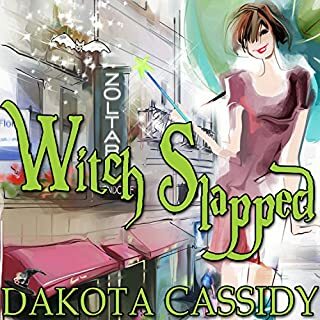 I do not think I will try another audible in this series if it is by the same narrator. So I think this author was wanting to create a sweet heroine who lived in a quirky supernatural village. Well in my opinion the author was short of the goal. This book had several issues for me that I almost couldn’t get past. I have read other books where I fell in love the characters and the setting but in this one I found the main character slightly annoying, her best friend (maybe love interest) almost a non-player in the story and the village full of dislikable characters. The “village” of Whispering Falls only allows certain kinds of special people in it and they treat other people almost like they are below them and should almost be destroyed. It was quite disturbing and not at all cute. The village folk also kept assuming Emma was going to just step right into her place and not have any issues. They wouldn’t come clean about what they knew about Emma and Oscar’s past. I hate that in books. I almost gave this book 3 stars but then it got to the point of me just wanting the book to hurry up. The mystery was very predictable and so was the ending. About the only think I did like was the cat as a character. I’m not sure yet if I want to give the next a try or not. The narrator was good but the story just annoyed me. 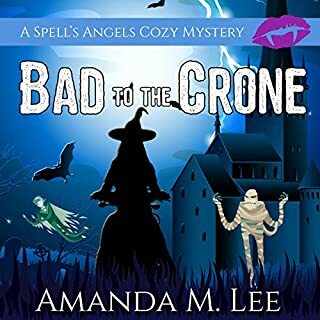 Fun murder mystery with quirky characters. Solving a mystery in a town full of secrets isn't easy. Good start to a series. Nice world building. A little writers convenience in the solution to the mystery. But overall a fun little paranormal cozy. How can I not love a story with a cat called Mr. Prince Charming? The story is engaging suspenseful and a good puzzle. it has a supernatural angle so I guess it's not for people who don't like fantasy. The cat made it a favorite for me. He doesn't talk or do anything truely unrealistic but I have a feeling there's more to him than meets the eye. I guess we'll see in the next books. 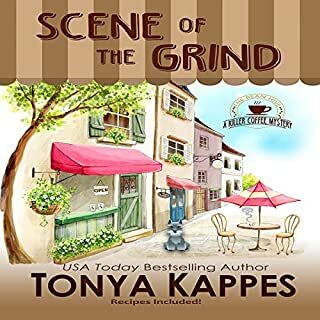 This is a very good supernatural cozy by Tonya Kappes charmingly narrated by Karen Savage. This book is for those who like quirky and are also looking for a world to spend some time in. I find that the books I like best are inhabited by people I want to spend time with. I'll happily visit June again. This is the story of many one-dimensional characters who act in secretive ways for no greater reason than it is required to make the plot work. The narration is very good, but I will not be seeking out more books by this author.